Welcome to the Employee Page! Here you will find resources and documents related to working for the Town of Rye. The beach is an important habitat for hundreds of species of plants and animals. Sorry. No Common Requests found. The Park’s “In Season” begins on the Friday before Memorial Day and runs through the end of September. Weather permitting, lifeguards will be on duty and the beach is open for swimming from 9 a.m. until dusk. Parking and Beach admission fees will apply. For Tide Information, click here. The beach may be open for swimming on the weekends after Labor Day through September if weather permits and lifeguards are available. See home page for fee details. The bathrooms will be open during the day through November. The park and beach are open to the general public. You don’t have to be a resident to use the park. Persons can pay on a daily basis or purchase season permits, which provide discounts to people planning to use the beach and park frequently. Residents of Rye City, Port Chester, Rye Brook and Rye Neck get discounts on both daily rates and season permits. Non-residents of these communities can also buy season permits, at higher rates. There are three categories of permits for residents and non-residents: Senior, Single, and Family. Parking Only permits can also be purchased, which provide for unlimited free parking during the beach season. Daily rates for parking and beach access are higher on weekends than weekdays. The daytime parking rates are from 9 a.m. to 7 p.m. Evening parking rates run from 7 p.m. until the park closes. 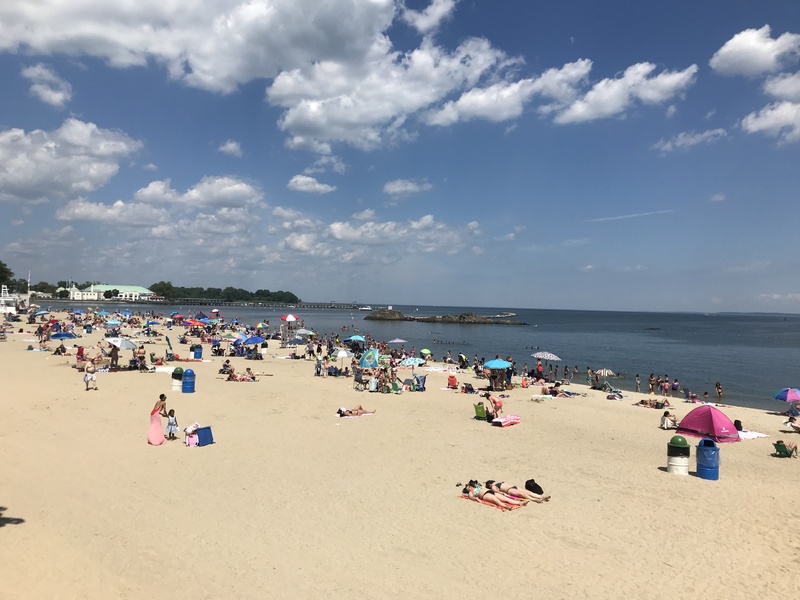 Daytime beach access rates are from 9 a.m. to 4 p.m. Late Afternoon beach access rates are from 4 p.m. to 7 p.m. Evening Beach access rates are from 7 p.m until closing. Residents are free after 7 p.m for beach access. See the complete chart of the 2019 daily and seasonal permit rates on the permits and fees page. Pre-Season Operations: Starting May 3rd, the permit office is open Wednesdays through Sundays from 9 a.m. to 3 p.m. Pre Season fees are charged for parking starting in April.